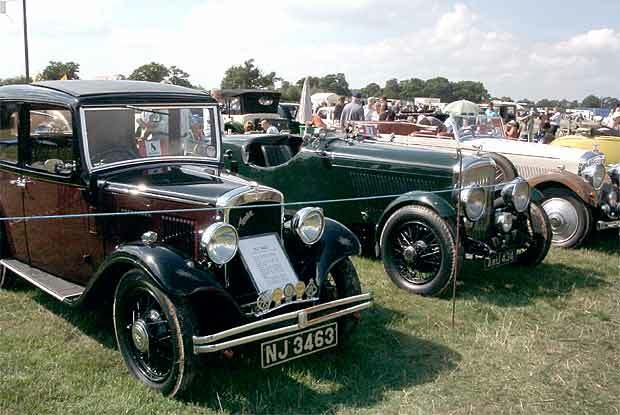 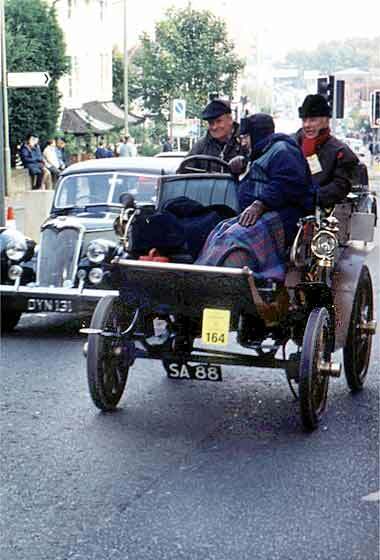 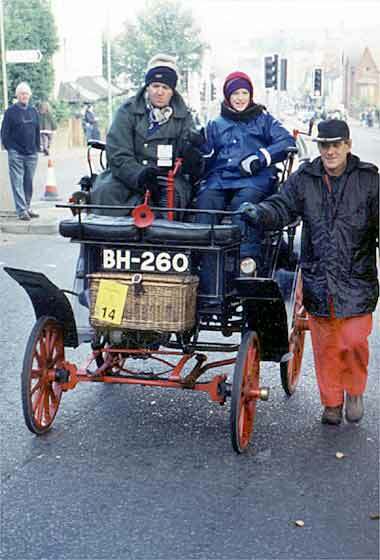 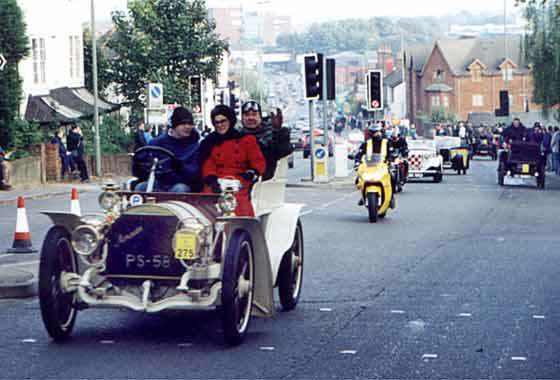 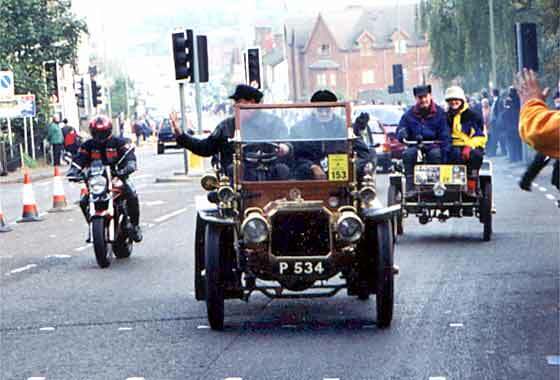 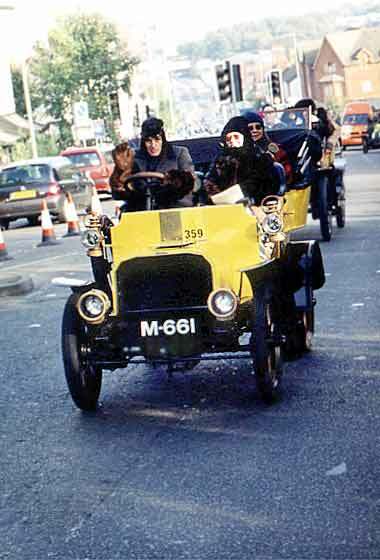 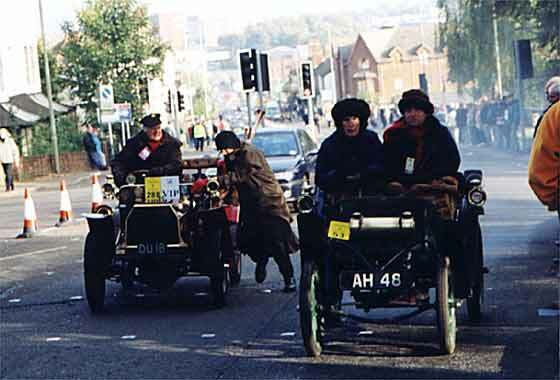 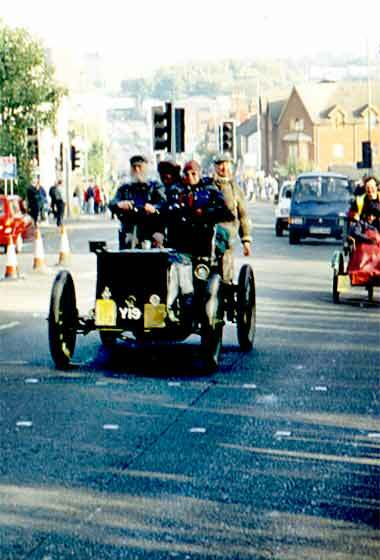 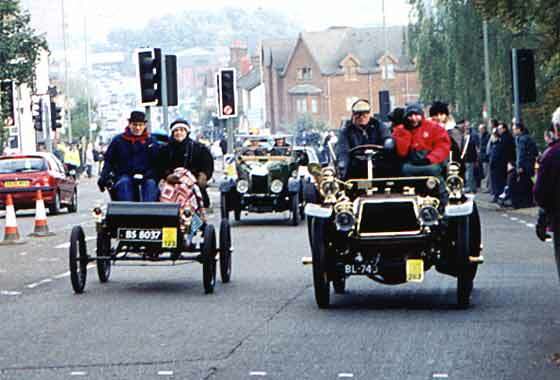 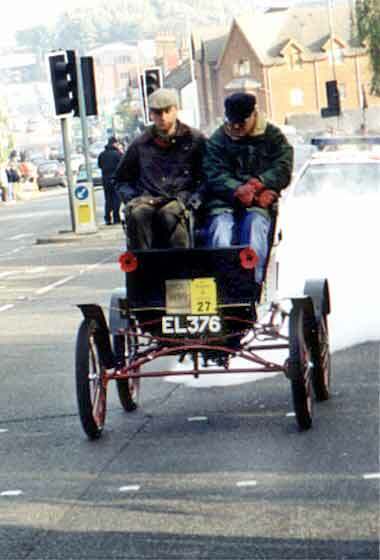 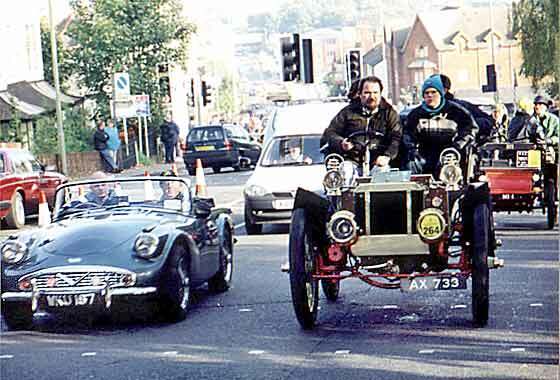 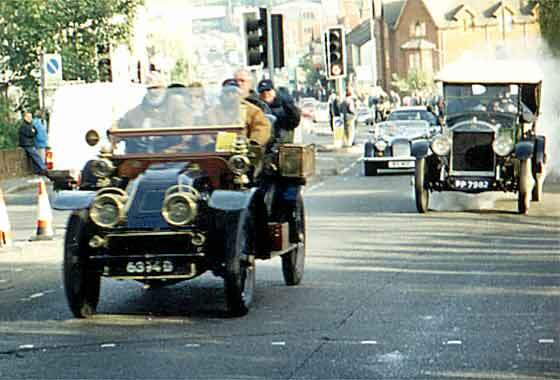 A number of SVVS Members entered cars in the 'London to Brighton' and all got there. 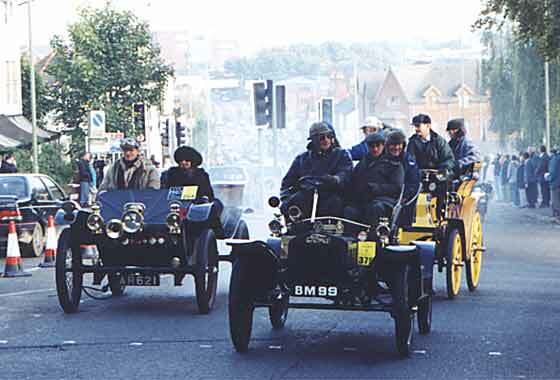 A number of other SVVS Members followed the run in relatively ancient machinery (me), and yet others refused to clog up the A23 and stayed put at suitable vantage points. 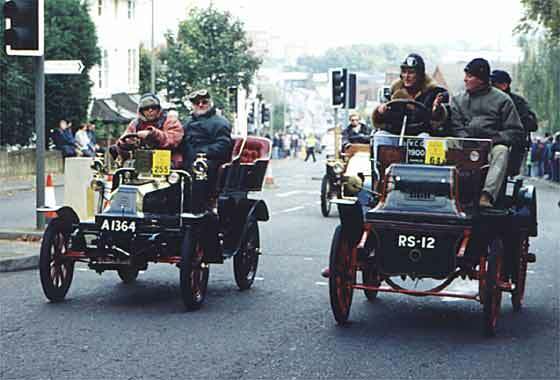 One of these was Tony Oakes who went to Redhill and snapped away with his trusty Box Brownie at some of the cars going up the southbound hill. 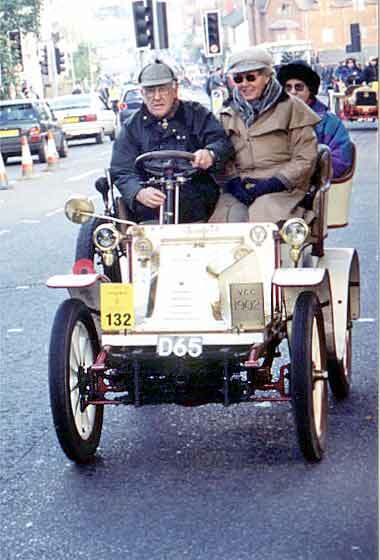 Please click on any thumbnail picture below to see the full size picture and note that the photo may take some 15 seconds to load. 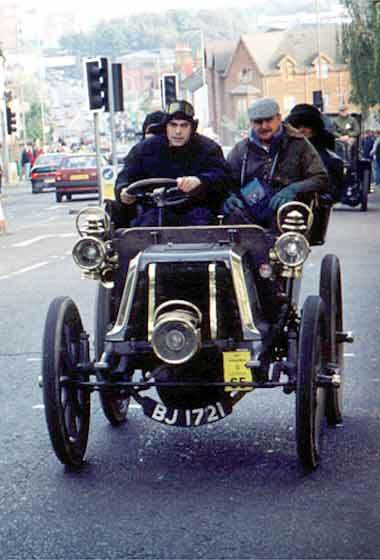 To return to the thumbnails please click the Explorer "Back" arrow (top left of screen). 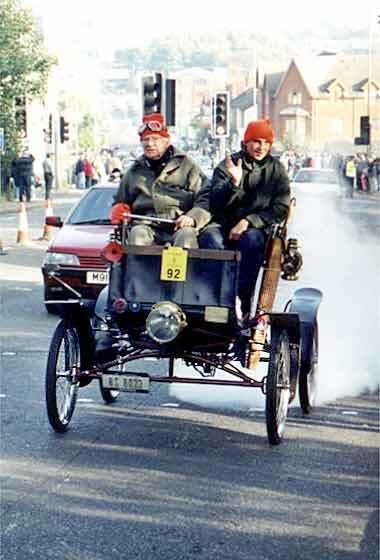 Pictures have been prepared for speed of loading on the web so the definition is lower than a print, and been sized to be viewed on an 800 x 600 setup. 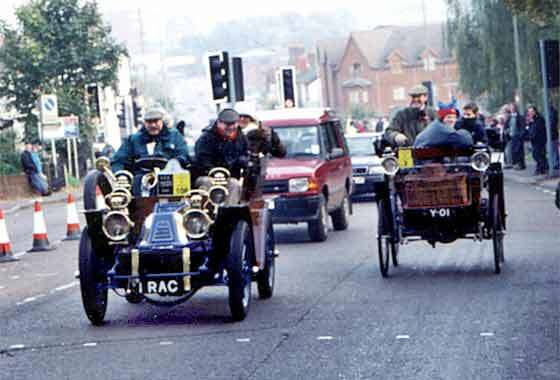 Photos of foreground cars (l to r) : 1902 Oldsmobile, 1903 Panhard&Levassor; 1902 Lanchester, 1904 Ford; 1904 Speedwell, 1900 Clement-Panhard; 1903 Richard Brasier, 1900 Daimler. 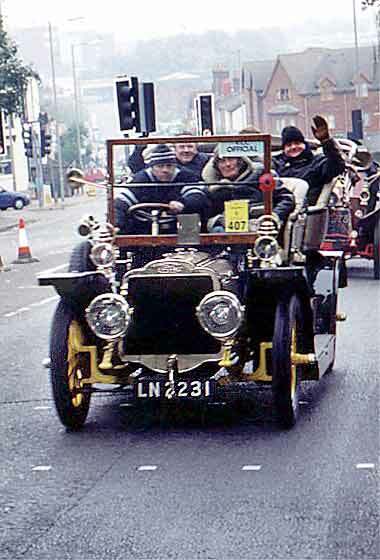 1903 Mercedes; 1903 Maxim; 1902 Siddeley, 1899 Decauville; 1901 De Dion Bouton, 1900 Benz. 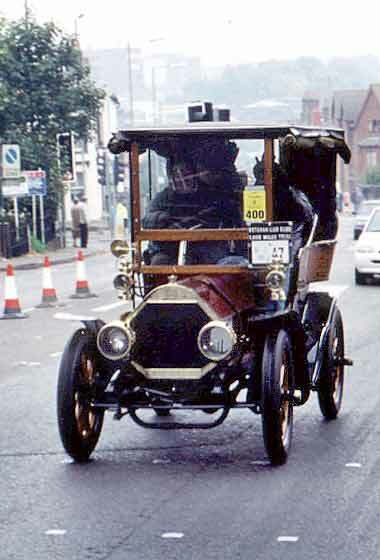 1901 Mors, 1895 Peugeot; 1903 Peerless; 1904 Krieger (electric); 1904 CGV , (Stanley Steamer). 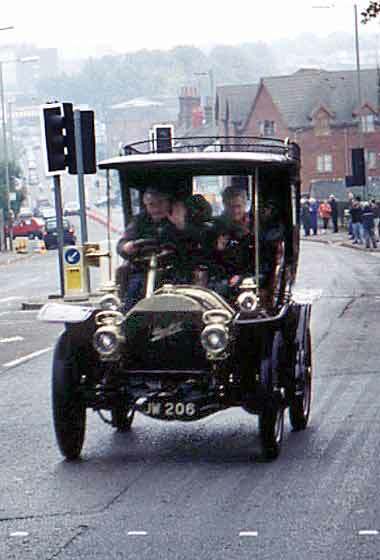 1898 Orient Express; 1899 Locomobile; 1900 Gardner Serpollet; 1900 Panhard Levassor . 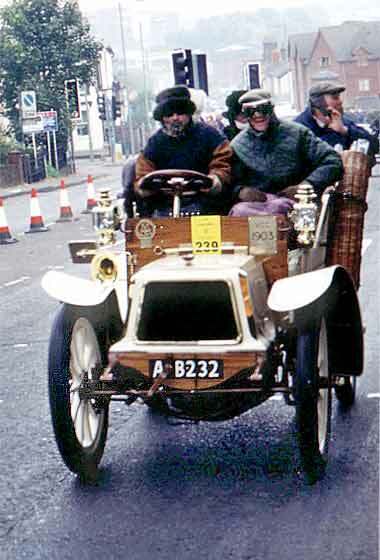 1901 De Dion Bouton; 1901 Locomobile; 1902 Arrol - Johnson; 1902 Peugeot . 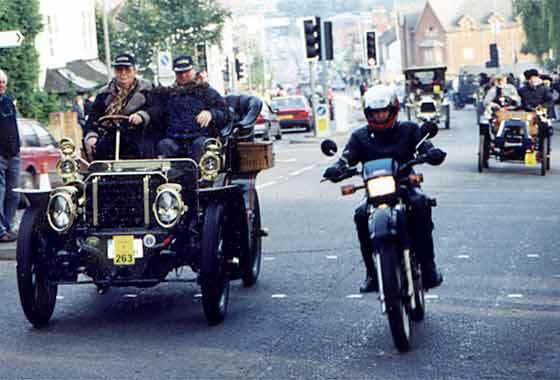 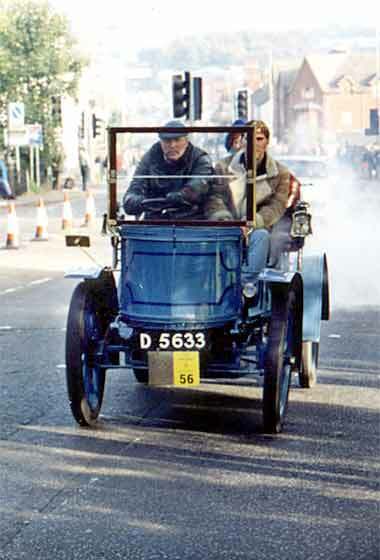 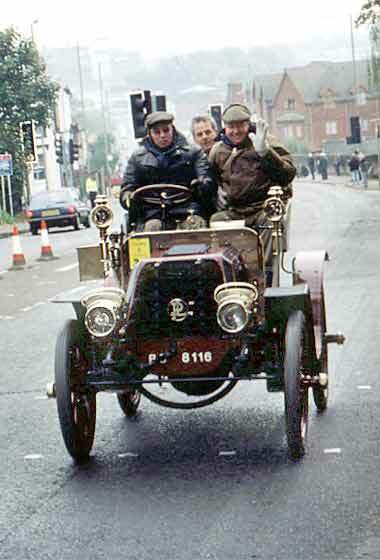 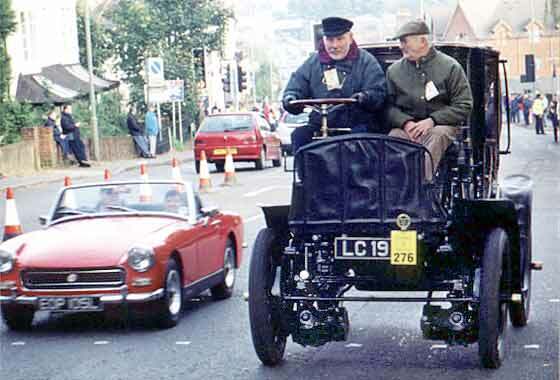 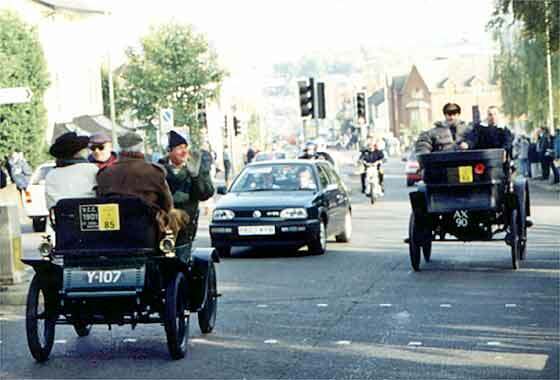 1903 Panhard Levassor; 1899 Panhard Levassor; 1904 Humber; 1904 Mors . 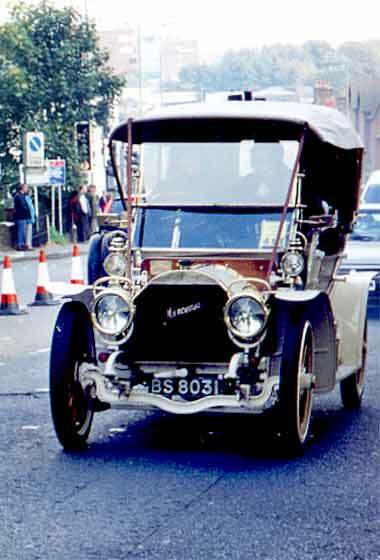 1904 Aster; 1903 Berliet; 1904 Mercedes; 1902 Napier .